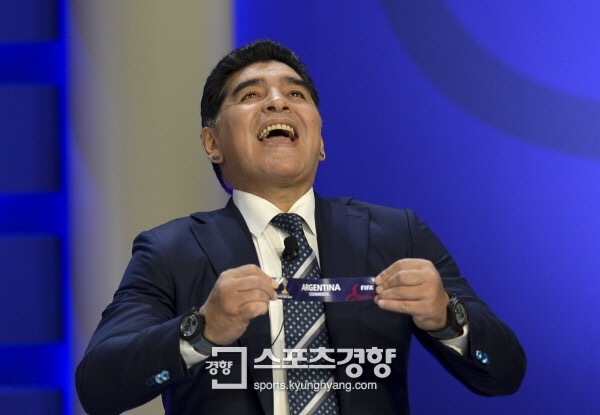 Diego Maradona’s boyish grin, Cha Bumkun’s gasp, Shin Taeyong’s wry smile and the buzz in the crowd… what were the chances that Korea would draw Argentina, then later England and Guinea in the U-20 World Cup? Already called the Group of Death, Lee Seungwoo and Paik Seungho aren’t going to have it easy in their home showcase. Found out what Shin Taeyong said about the draw as well as a little primer on each of Korea’s opponents after the jump. The draw was held at 3pm KST today at the Suwon Atrium ahead of the 2017 FIFA U-20 World Cup. The tournament will be held in 6 venues across South Korea, but the Koreans will contest their Group Stage games in Jeonju and Suwon. Though Korea was in Pot 1 and would avoid some of the superpowers including France and Germany, the difficulty of each group was bound to vary greatly with teams like New Zealand in the same pot as teams like Argentina. Both Group A and D look like the toughest… Group C and F look easiest. If you’re into it, here’s the full draw… KBS’ announcer Lee Jiyeon with a surprisingly good English! There were so many friendlier scenarios for the Koreans, and yet they got possibly one of the toughest. It will come as a relief to Shin Taeyong that they won’t be opening the tournament against Argentina or England, but Guinea are no push-overs. Though it is their first participation since 1979, Guinea’s U-17 team gave Korea some trouble at 2015’s U-17 World Cup. Lee Seungwoo couldn’t get off the mark and it took a late 92nd minute winner for the Taeguk Warriors to break the deadlock. Even if Guinea aren’t the toughest African side, finishing 3rd in their qualifying tournament, the quantity of unknown means that Shin Taeyong has promised to play some friendlies against African nations leading up to the tournament “to adjust to the style and intensity of Guinea.” After all, African teams tend to perform well at youth tournaments. A win against Guinea will be imperative for the Koreans, because they will not want to go up against the Argentines with less than 3 points under their belts. The South Americans’ have won the U-20 trophy on 6 occasions and of course players like Lionel Messi and Sergio Aguero have transcended through their youth ranks. However, the South American side does remain a beatable opponent for the Koreans. They were winless in the 2015 U-17 World Cup and the 2015 U-20 World Cup, and qualified in South America by the skin of their teeth on the final matchday. 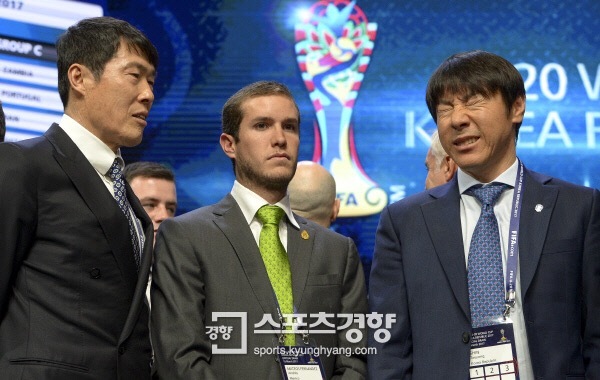 Korean football observers have remarked that the Los Albicelestes’ defense is as fragile as Korea’s. England will be Korea’s toughest opponent, though hopefully their clash in Suwon won’t be a life-or-death match of the Koreans. Their players include future Premier League stars (their 2013 team gave us John Stones, Harry Kane and Erik Dier) as well as a couple players already having made their pro-debut – West Ham United’s Reece Oxford and Manchester United’s Axel Tuanzebe. Chelsea’s Dominic Solanke was their top goal-scorer in qualifying, though the English didn’t progress to the finals of European qualifying. It’s a continuation of their woes at the U-20 level – they have not won a game in the U-20 World Cup since 1997. Lee Seungwoo squared off against the Three Lions at the 2015 U-17 World Cup in a 0-0 draw that meant the Koreans topped the group and sent the English packing. All in all, it’s not an easy draw for the Koreans, considering all the teams that have qualified. But they face no continental winners and instead face teams who have struggled at previous tournaments of the same age group. It’s a winnable group just as it is a very lose-able group. All bets are off ahead of this May’s tournament. What are your thoughts of the draw and expectations of the team? well that’s one tough group. i believe korea’s chances of getting out of the group stage is still possible.